Get a behind-the-scenes look of all of our guest rooms! 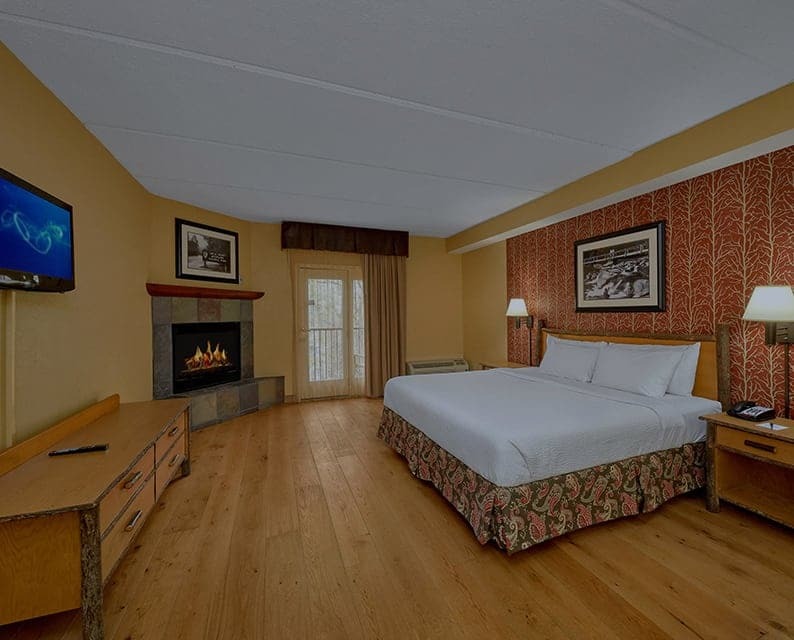 With our virtual tours, you get to see inside our Gatlinburg hotel rooms before you book to decide which room works best for your stay. Our Junior Suite is perfect for groups visiting Gatlinburg! Take a tour of the room. A King bed, a private balcony and more! See inside our King Suite. Our Two Queen Room sleeps 4 and is great for families and groups. Take a tour of the room! Whether you’re in town with someone or flying solo, you’ll love our King Room. Take a tour! This room has everything you need for a comfortable stay. Take a tour!